Why Hiring a Licensed Plumbing Contractor in Bronx is Critical? Most people attempt to fix their plumbing problems by ‘Youtubing’ instructions. Doing this will definitely save money, but it puts your entire plumbing system at risk. While repairing a minor leak in your sophisticated plumbing system, chances are that you might end up making a costly mistake. That is why you should only hire a licensed plumbing contractor. Plumbing problems may appear simple but due to the lack of knowledge in plumbing system and its intricacies, you would probably end up causing more damage. Handling a complicated plumbing problem requires the knowledge and experience of a seasoned plumber who knows how to perform a deep analysis of the plumbing system before fixing it. Licensed plumbers in the Bronx receive extensive training and education in all aspects of plumbing. They have to pass rigorous tests and education to get licensed. Through their training, education, and experience, they develop an eye to identify potential plumbing problems and quickly find a solution. They have the right set of tools to do the plumbing job. All plumbing problems can be fixed by using the right tools. 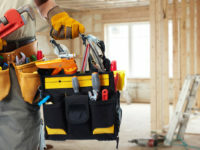 There are specific tools designed exclusively for particular plumbing problems and only a licensed plumber knows which tool should be used to solve that particular issue in the first attempt. If you do not have those tools, you should not attempt a repair. When you hire a licensed plumbing expert in Manhattan, NY, you will get top-level service and peace of mind. If you attempt it yourself, you may find it difficult to figure out the exact problem due to lack of familiarity with the intricacies of your plumbing system. What happens if You hire an Unlicensed Plumber? If you have tenants, they can file a case against you for using an unlicensed contractor to fix your plumbing issues. Local plumbers might use wrong tools and misdiagnose the issue. And, if an accident occurs due to mishandling of the plumbing system, you may be dragged to court. Improper plumbing installations are more likely to cause serious injuries. For example, an incorrectly installed electronic water heater can put your life in danger. As unlicensed plumbers do not report to any regulatory body, chances are that they might provide incorrect services. If they fail to fix the issue correctly, your entire plumbing system will be put at risk. So, do not risk your life for money. Hire a licensed plumber. If you are looking for licensed Plumbing Contractor in Bronx, reach out to C James Plumbing. We provide highly trained plumbing contractors in the NYC area who are licensed and also go through intensive background checks.